The top winner was the very beautiful Janine Marie Tugonon (above). At 22 years old, she stands 5' 7" and is originally from Bicol. 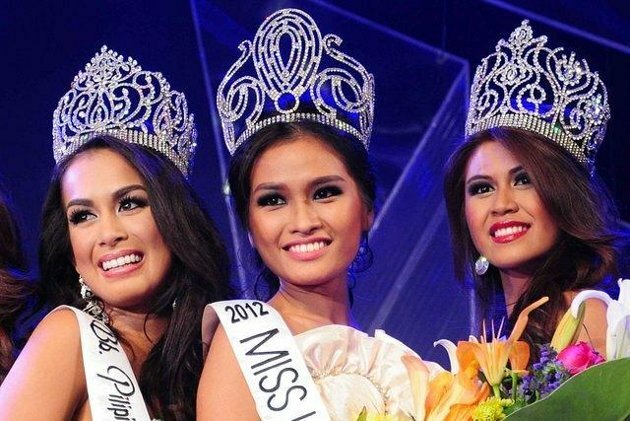 According to the pageant officials--and herself--She is a Pharmacy graduate of University Sto. Tomas and works as a clinical specialist. I have a feeling she's really a "Model/Wants to be a TV Show Presenter" (as she should be!). She will now have the chance to go to the "Miss Universe 2012" pageant which according to some, is taking place in December (very unusual, since for many decades it has taken place in the late Summer months) in a yet-to-be-determined location. Rumor has it that it will be South Africa, but no formal announcements have been made by Donald Trump's Miss Universe Organization. The gowns the top five wore on the final night were nice enough but they were very "Prom-like" in their silhouettes,fabrications and color-story (bright colors or white's and off-white's). Second Runner Up, Annalie Forbes (far left) wore a lipstick-red embroidered gown that was straight from a Prom Boutique sale rack--nothing special about it. I LOVED the apple green color of Nicole Schmitz' strapless gathered gown (second from left). It still didn't scream "Paris Haute Couture". "Bb. Pilipinas Tourism 2012" Katrina Dimaranan's (second from right) ivory beaded gown was more "Elie Saab" fab and therefore, I was a fan! And Elaine Kay Moll (far right) who took home the "First Runner Up" title wore a baby blue organza tiered concoction featuring petals (or was it Fish Scales?) that cascaded down to the floor, with a few crystallized petals here and there. The winner, Janine, wore an off-white taffeta gown featuring a gathered fitted torso down to the upper thigh, which then flared out. There were diagonal gathered ruffles at the top and bottom areas of the gown adding dimension and interest. It was very Oscar de la Renta circa 1987. And somehow, I still kinda liked it! She wisely put her hair up and added those big ol' earrings to finish her look. Basically, all she needed was a crown...Oh yeah, she got that! Eventually. Last year's winner, Bb. 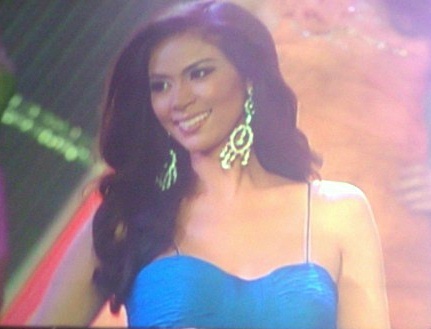 Pilipinas 2011 "Miss Universe Philippines 2011" Shamcey Supsup, wore a rather tacky gown: it was a short beaded blue and ivory cocktail dress that featured a blue overskirt attached at the hip and matching one-shoulder diagonal strap. I almost thought it was 1988 all over again! 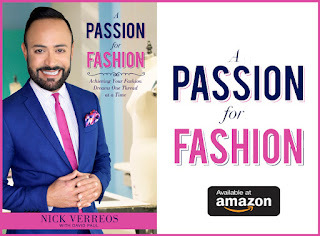 Seriously ladies/designers: pick up an "HOLA" Alta Moda Magazine, look at this year's Academy Awards/Cannes/Emmy's/SAG Awards and see what an evening gown should look like. Winner of Best in Long Gown: Angelee Claudett de los Reyes (center, above ) won the "Special Award" of "Best in Long Gown"--a blue strappy number with a fitted bust and flared gown-skirt. Rising from the Philippine Waters, Nicole Schmitz, winner of "Binibining Best in Costume Award 2012"
6 Responses to "SASHES AND TIARAS.....Binibining Pilipinas Miss Philippines 2012: Winner, Gowns"
no 28 Mia Arcenas is a FIDM graduate, was she your student? 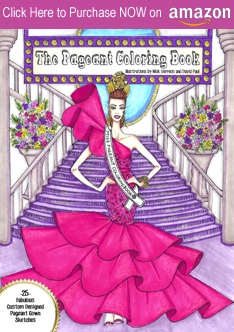 The gowns were most likely bought by the pageant organizer from New York just like in the past years. A few of the gowns last year were by Tony Bowls. Though new to the eyes of avid pageant fans, the gowns this year are probably from previous collections. 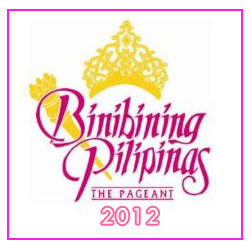 I WISH SOON THE BINIBINING PILIPINAS ORGANIZERS WILL SHOWCASE PHILIPPINE DESIGN IN EVENING GOWN.